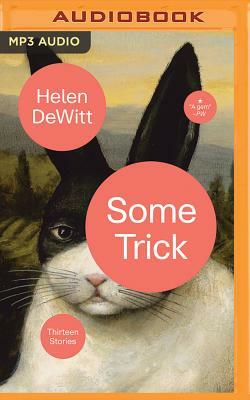 For sheer unpredictable brilliance, Gogol may come to mind, but no author alive today takes a reader as far as Helen DeWitt into the funniest, most yonder dimensions of possibility. Her jumping-off points might be statistics, romance, the art world's piranha tank, games of chance and games of skill, the travails of publishing, or success. "Look," a character begins to explain, laying out some gambit reasonably enough, even if facing a world of boomeranging counterfactuals, situations spinning out to their utmost logical extremes, and Rube Goldberg-like moving parts, where things prove "more complicated than they had first appeared" and "at 3 a.m. the circumstances seem to attenuate." In various ways, each tale carries DeWitt's signature poker-face lament regarding the near-impossibility of the life of the mind when one is made to pay to have the time for it, in a world so sadly "taken up with all sorts of paraphernalia superfluous, not to say impedimental, to ratiocination."